Rim a martini or stemmed cocktail glass with honey and toasted coconut. Drizzle 1 tablespoon chocolate syrup into the bottom of the glass. 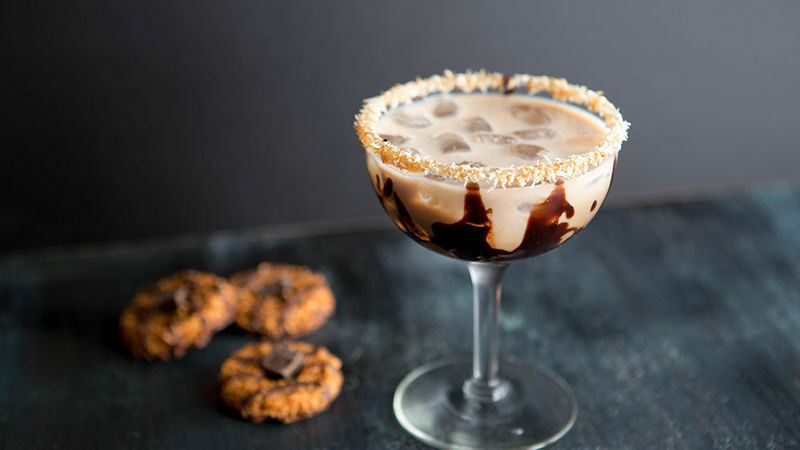 In a cocktail shaker, combine remaining chocolate syrup, crème de cacao liqueur, Irish cream and coconut liqueur with 2/3 cup ice. Shake for 30-60 seconds, then pour into prepared cocktail glass. Serve immediately and enjoy!